Job interviews are nerve-racking for most of us. But what if you consider yourself an introvert? You may find them even more energy-draining and worry that you’re not able to present your best self. 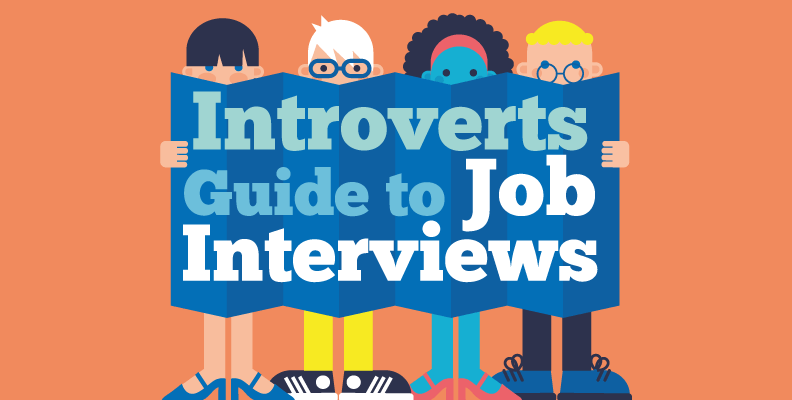 So how can an introvert excel at interviews? Being an introvert does not mean that you’re a nervous or anti-social person. At its most basic, it means you prefer to work alone and find group situations a trial, even if you’re perfectly good at them. But when a big job opportunity depends on your performance in such a situation, it’s no wonder you may feel more nervous than usual. Here’s the good news: Introverts have certain superpowers that can help even out the playing field. For example, introverts both desire and create deeper connections with individuals, while extroverts play to the entire room. Use your skills to truly listen and respond to members of the interview panel, and you will make a memorable impact. Introverts also have a more complex thought processing method. This means you may come up with a more interesting answer if you take your time. Be sure to let the panel know that you need a moment to think it over, and they will appreciate that you’re engaging with their question so deeply. Your unique strengths as an introvert would likely make you a valuable member of the company. Make those strengths shine at the interview stage, and it will be difficult for potential employers to say no to you!